There's severe water shortage in the Cape. The last three winters have had minimal rain and dams are at the lowest levels ever seen. Residents and visitors are restricted to 87 litres per person, per day, falling to 50 litres from 1 February. There's the expectation that water will completely run out by 12 April -- Day Zero -- leaving people to collect a ration from tankers or standpipes. I find it hard to visualise 50 litres, but that equates to flushing the toilet just five times. The 50 litres is not just for that, but also bathing, washing clothes, drinking, cooking and everything. Harvest has started in the Cape. Yesterday Delheim were bringing in Pinotage to their winery. Vines had dark green leaves and looked healthy. Co-owner and viticulturist Victor Sperling told me: "We have our own spring so we have water for the winery, but we haven't irrigated vineyards. 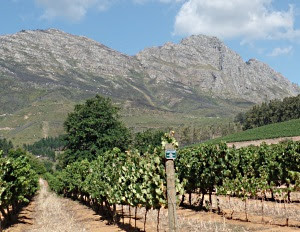 The crop is low and berries are very small, so we are expecting to make less wine but with intense colour and flavour." "Despite the severe water crisis we’re experiencing and diminishing dam levels we fortunately still have a little water to irrigate our vineyards - for now. The good news is that we are expecting the same volume of grapes this year as we received in 2017. News in the industry is that many producers and expecting a drop in produce, up to 23% from last years vintage, making it the smallest in a decade. The vineyards look healthy with average growth and small bonsai bunches. The first grape samples came in this morning, Pinotage and Viognier grapes but the sugar indicates another week or two to go. The season is about a week later than normal and we expect that the bonsai bunches will deliver intense colour and good quality wines in the cellar." 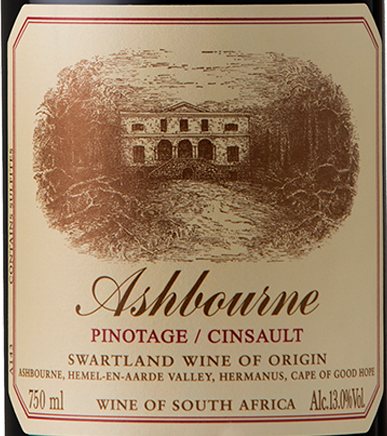 Anthony Hamilton Russell intends to export his new Ashbourne Pinotage-Cinsaut blend to the UK in 2019, according to Harpers trade magazine. “For some time now, I have wanted to master a blend of these two underrated varieties,” said Hamilton Russell. 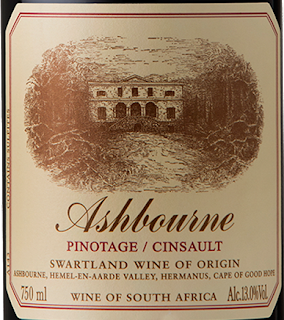 This Ashbourne is a blend of 80% Pinotage and 20% Cinsaut, both sourced from Swartland. 225 cases of the unwooded 12.99% abv initial 2017 vintage was made. Read the full story by James Lawrence here. Not everything smells sweet in South Africa’s vineyards. Down at the bottom end producers are struggling to survive in the face of a weak rand, virused vineyards and a drought. The big boys don’t help by churning out oceans of evil, cheap, bulk wines and Cape pinotage is still too often tainted by the smell of burnt rubber. 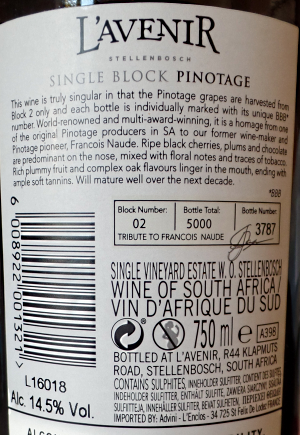 However, handled properly, the grape can produce good wines, as anyone tasting Flagstone’s inky yet red-fruited 2015 Writer’s Block Pinotage, a 14.5 per cent whizz from Breedekloof, an inland area once just known for bulk wine production, will attest (Wine Rack, £13.99).